Celebrate The 2018 Harvest Festival at Calcareous Vineyard! Name: Celebrate The 2018 Harvest Festival at Calcareous Vineyard! 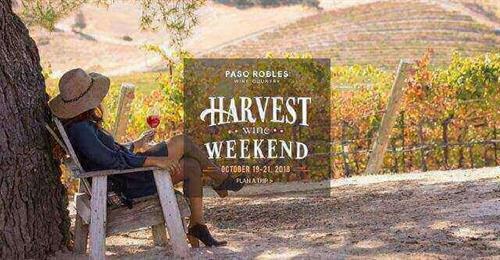 Enjoy the celebration of Harvest Festival weekend with us at Calcareous Vineyard October 19th – 21st. With our award-winning wines and breathtaking views from our Tasting Room, we offer an unprecedented wine tasting experience in the beautiful Adelaida AVA of Paso Robles. Stay for lunch, as delicious selections will be available for purchase from 12-3pm Friday-Sunday. Wine tasting is available from 10am-5pm at $15/person or complimentary for wine club members. Reservations are recommended for groups of 8 or more. On Saturday evening, 10/20 join us for our Harvest Winemaker’s Dinner from 6:30-9:30pm. Enjoy a gourmet 3-course sit-down dinner with passed hors d’oeuvres by Chef Will Torres, while listening to acoustic music of Kevin Greybill. Tickets: $135 per person | $115 per Wine Club Member, RESERVATIONS REQUIRED. Sunday, 10/21 we will be open from 10am-5pm. Listen to the musical styling of Gypsy Allstars, while enjoying the views and award-winning wines. Lunch will also, be available for purchase between 12-3pm.